Combine the cayenne and black peppers, paprika, thyme, oregano, bay leaf, and salt; set aside. In a heavy pot, 5 quart or larger, heat oil over medium heat. Add onions, celery, and green pepper. Turn heat to high. Stirring frequently adding garlic last. Now add file powder the pepper-herb mixture that was set a side. Cook for 5 minutes, stirring constantly. Add dice tomatoes , and stir as it reduces over high heat. Add fish stock boil. Reduce heat, and simmer for 1 hour, stirring occasionally. add meats. Cover, and wait 15 minutes. When ready to serve add fish Turn off heat, and let stand for 10 minutes. Serve. For those who may not know what a Gumbo recipe is,It is a stew that originated in southern Louisiana during the 18th century. It consists primarily of a strongly-flavored stock, meat or shellfish, a thickener, and the vegetable holy trinity of celery, bell peppers, and onions. Since the 19th century, gumbo has often been served at social gatherings.Gumbo is the official cuisine of the state of Louisiana. 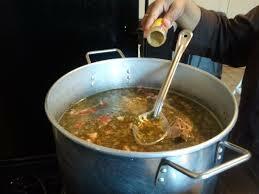 Many southern Louisiana cooking competitions center around gumbo and it is a central feature of many local festivals. 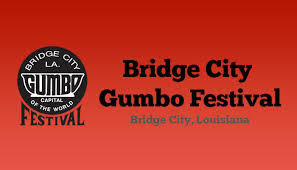 "Gumbo Capital of the World", Bridge City, Louisiana, holds an annual Gumbo Festival.The festival features gumbo cooked in a cast-iron pot 3 ft (0.9 m) deep and 5 feet (1.5 m) in diameter. More commonly, festival gumbo pots measure 2 ft (0.6 m) in depth and diameter. 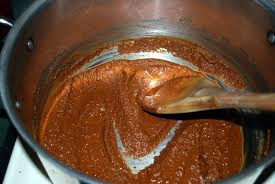 Gumbo is cooked for a minimum of three hours, and often simmers all day.Because seafood cooks fairly quickly, it is not added to the pot until the end of the process. Gumbo is serve from the pot on the stove. 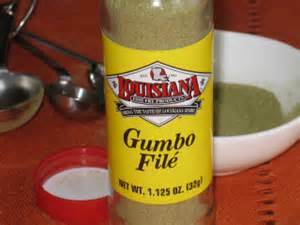 Gumbo is often categorized by the type of thickener used. 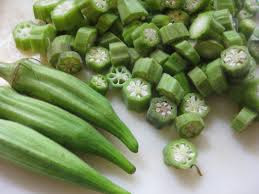 African vegetable okra is traditional African cooking for thicker a gumbo is a reinterpretation of West Africans used the vegetable okra as a base for many dishes, including soups, often pairing okra with meat and shrimp, with salt and pepper as seasonings. or orka from the African. 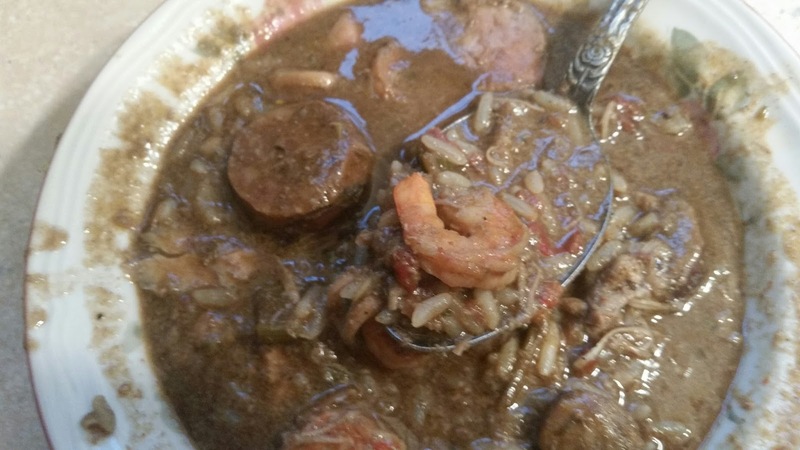 In Louisiana let me point out Cajun and Creole Gumbo are two distinct cultures, and while over the years they continue to blend, there is still a vast distinction in Louisiana, and both have their own unique stories. 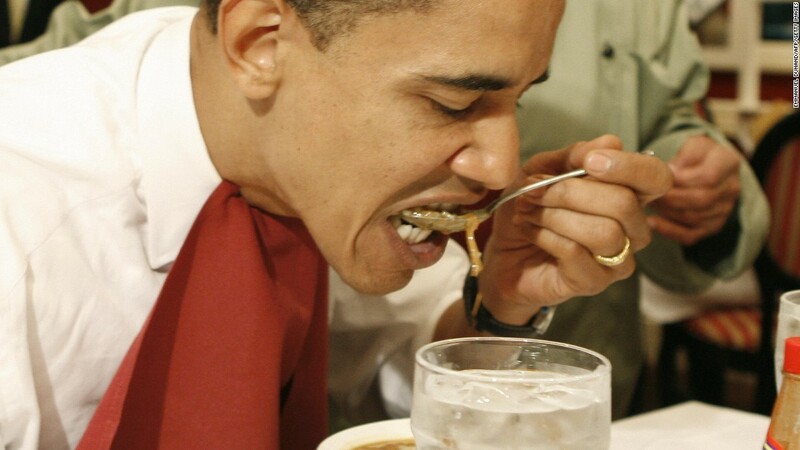 Only One thing,Creole cuisine uses tomatoes and proper Cajun food does not. 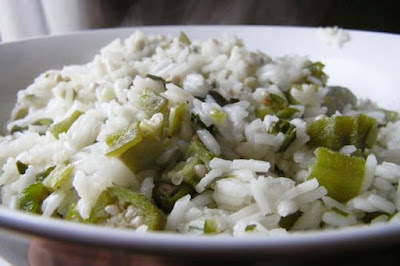 Surviving records indicate that by 1764 African slaves in New Orleans mixed cooked okra with rice to make a meal. 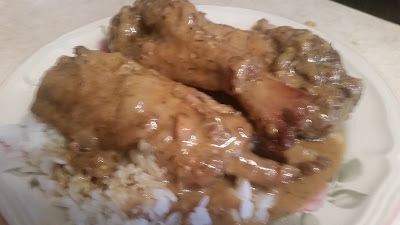 Creole and Cajun gumbos are served over hot rice.